"... fast-paced space adventure/romance with lots of twists, turns, and enough action to satisfy sci-fi enthusiasts... story telling is imaginative and action scenes vivid... pleasing happily ever after that sets up a sequel." Ind'Tale Magazine. All Maksou wanted was to rescue his trapped friends and get rich in the process. 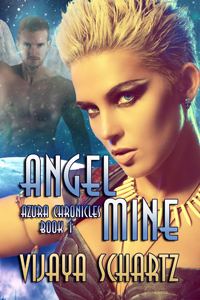 But this forbidden blue planet crawls with lethal life forms… including Urielle, a gorgeous angel of frightening power, who saves his life but shuns his irresistible charm. 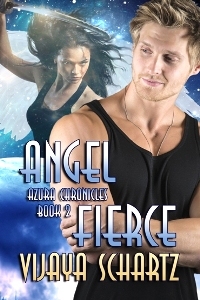 Urielle, Legion Commander of the Avenging Angels, is sworn to protect Azura at all costs. 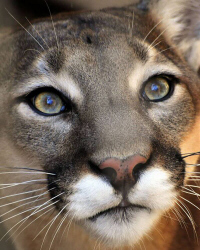 She has no use for a maverick intruder who ignores the rules and endangers the planet by his very presence… no matter how handsome and charming. Especially when the Galactic Trade Alliance (GTA) wages a secret war to get their greedy hands on the priceless crystal at Azura’s core. When immortal angels turn up dead, Urielle springs into action… and Maksou is in her line of sight. "Action-packed twists and blooming romance fill each chapter to the point I didn't want to stop reading it. I adore her planet, Azura, and the abilities of her Avenging Angels, but even above those, her two main story-stars. Maksou and Urielle take the lead. Truth beyond all... especially when one can't lie. Love it! 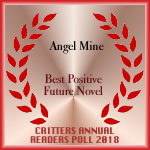 I will be reading more of this author, entertaining and itnriguing, along with vivid, intense action... plus the fact, this author knows her sci-fi." 5-stars on amazon.